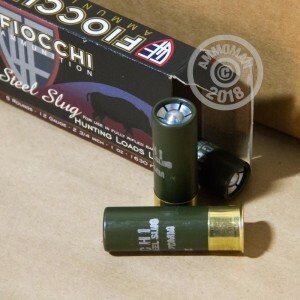 For hunting boar and deer in areas that don't allow lead, check out these 12 Gauge Segmented Steel Slugs from Fiocchi! The accuracy and ballistics of this product are impressive. 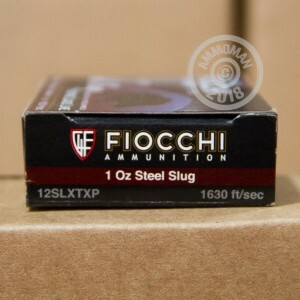 With a muzzle velocity of 1630 feet per second, these slugs deliver the punch you need to knock down your target. The lead-free design makes these loads great for hunting in or around water. The steel is also completely wrapped in a plastic wad, designed to help protect the barrel of your gun. 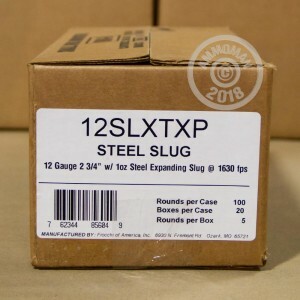 These slugs are not designed for use in smooth bore barrels or rifled chokes, only slug-guns with fully rifled barrels. Italian industry leader, Fiocchi, has been in business since 1876. Fiocchi continues to attract skilled, dedicated employees with extraordinary talent. This, along with consistently delivering reliable and top of the line products, allows them to continue to be a leader in the ammunition industry.